This is one of those recipes that I raised my eyebrows at the first time I heard about it. I like watermelon. I like mint. I like feta. I would not have ever put them together, yet as soon as I tried this, it quickly became one of my favourites. 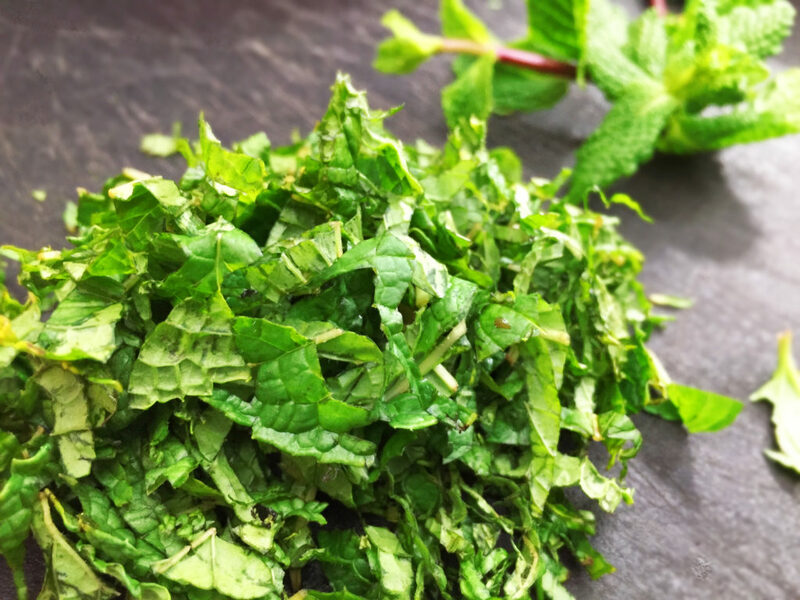 There are plenty of variations which use basil instead of mint, or include cucumber and a balsamic drizzle. I’ve heard good things about them, but this is my go-to so far. 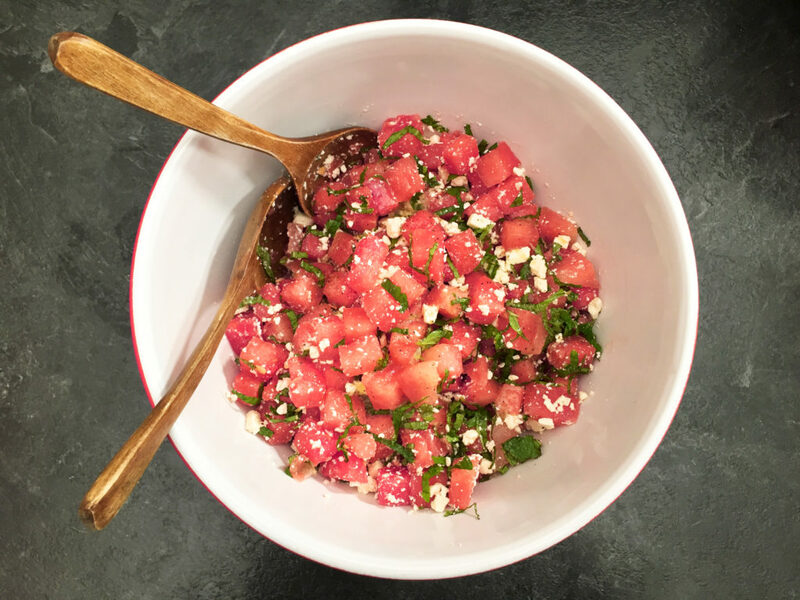 Whatever variations you try, this salad will still be incredibly refreshing and perfect for a summer day. 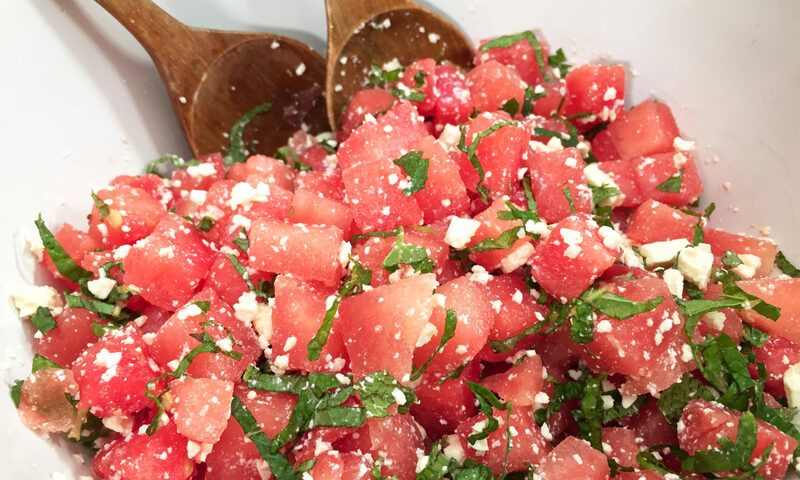 You can throw this salad together in 10 minutes tops (and most of that time will be spent struggling to figure out how to handle your watermelon and finding a big enough knife to slice through it). 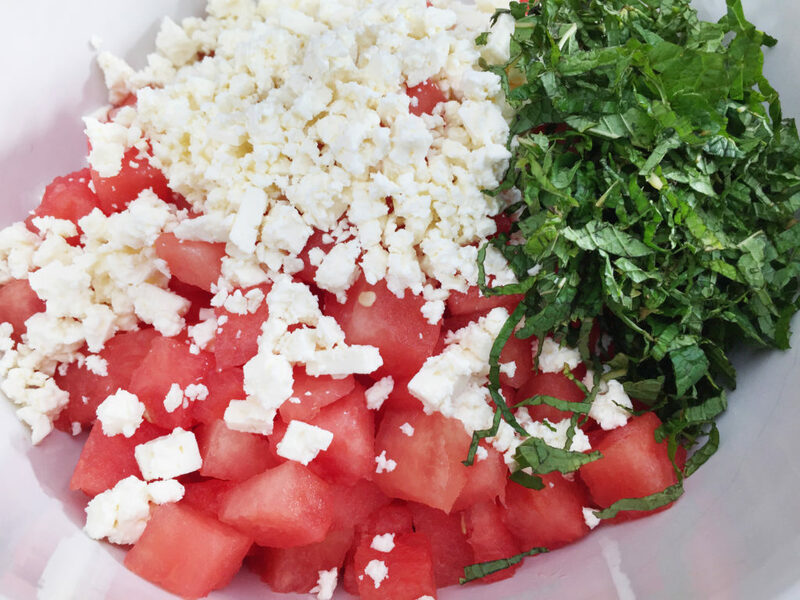 Just chop up some watermelon, mix in some feta, throw in your mint and drizzle with dressing – done! Ideally you should let the watermelon sit in a strainer for a few minutes before mixing everything together. This will help drain off excess water so your salad doesn’t get too soggy. It’s best assembled and eaten fairly quickly. 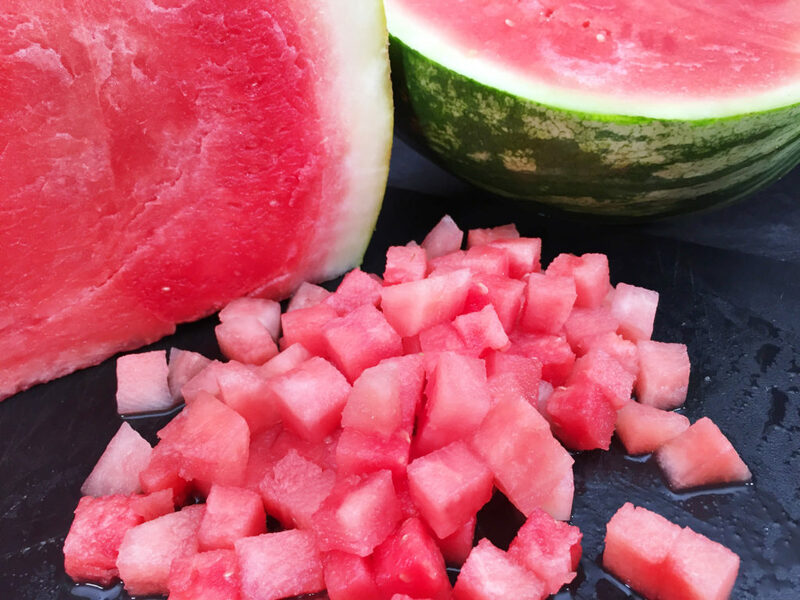 If you are going to be taking it to a potluck I would recommend doing your prep work ahead of time (basically chop your melon and mix up your dressing), bringing your ingredients with you, and then mixing it all together right before serving. The recipe written out below would serve 8 moderate sized portions, or fewer if you have people like me who will just keep eating it until it’s gone. You can also half it easily which is what I did for this post. 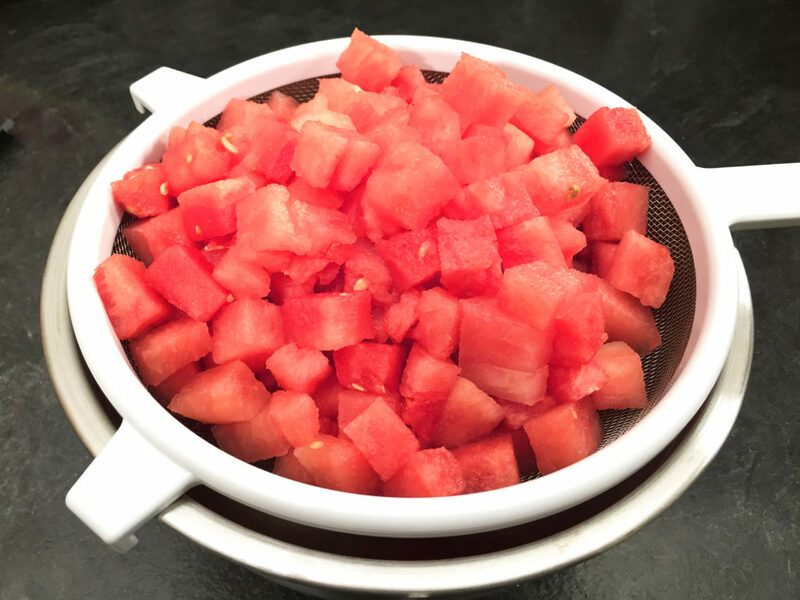 Cut your watermelon into small cubes and place in a strainer to drain excess juice. Set aside. Whisk together olive oil, lime juice and black pepper. 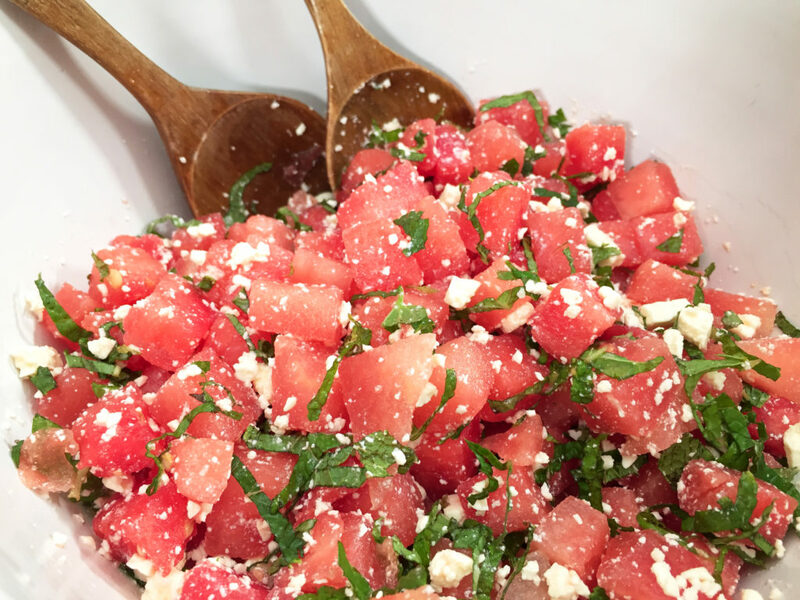 In a large bowl mix together your now slightly drained watermelon, feta and mint. 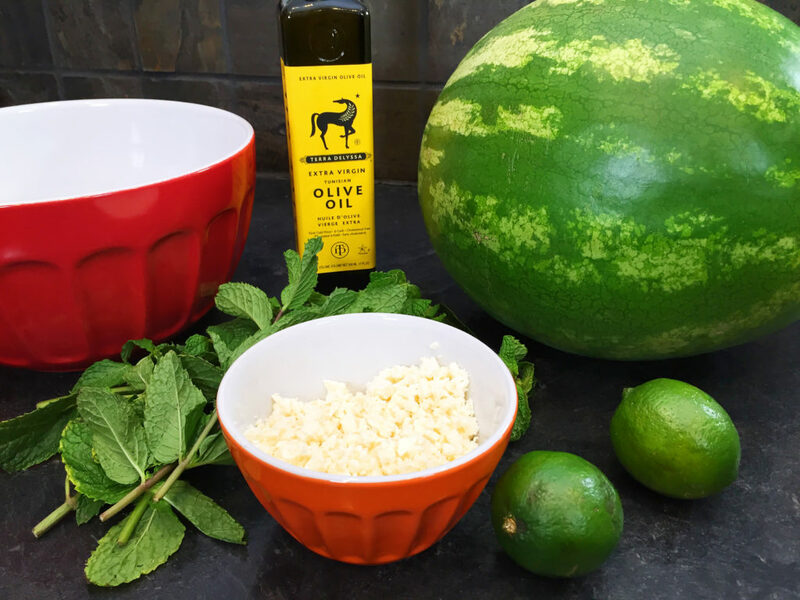 Drizzle the dressing over the watermelon mixture and mix again.